On December 21, 2018, the so-called Energy Collective Law came into force, amending, inter alia, the German Renewable Energies Act (“EEG”). This is the seventh amendment to the EEG 2017 since it came into force on January 1, 2017. Among other things, an obligation was introduced to equip wind turbines with need-controlled night-time identification from July 1, 2020. This obligation also applies to existing turbines; an estimated 18,000 wind turbines in Germany will therefore have to be retrofitted. 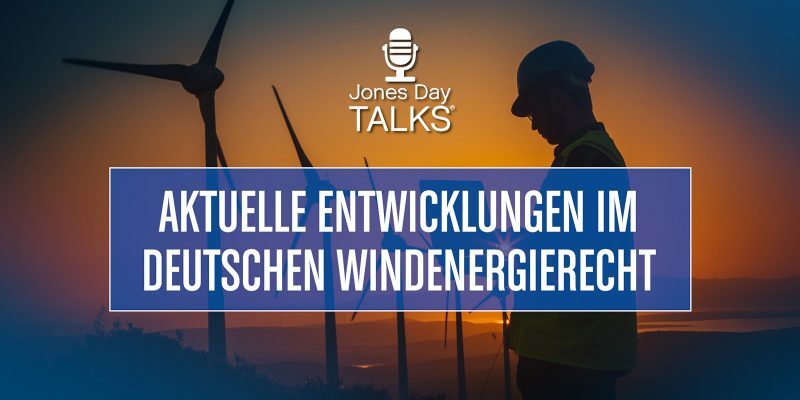 From the current case law, a decision of the Bavarian Higher Administrative Court of April 3, 2019, on the applicability of the so-called 10 H regulation is relevant in particular for planners and operators of wind farms in Bavaria. According to this decision, the 10 H regulation must also be observed when granting amendment permits in accordance with the German Federal Emission Control Act if a valid and binding permit for the wind farm already exists and neither the locations nor the height of the turbines change. 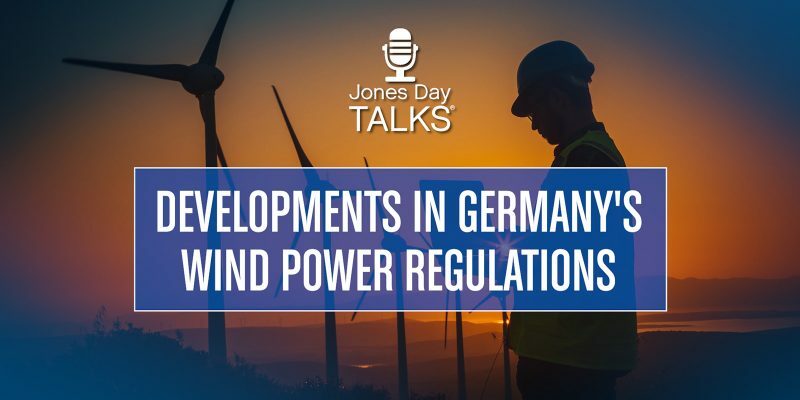 Jones Day’s Kerstin Henrich explains these current topics in the field of wind energy law. 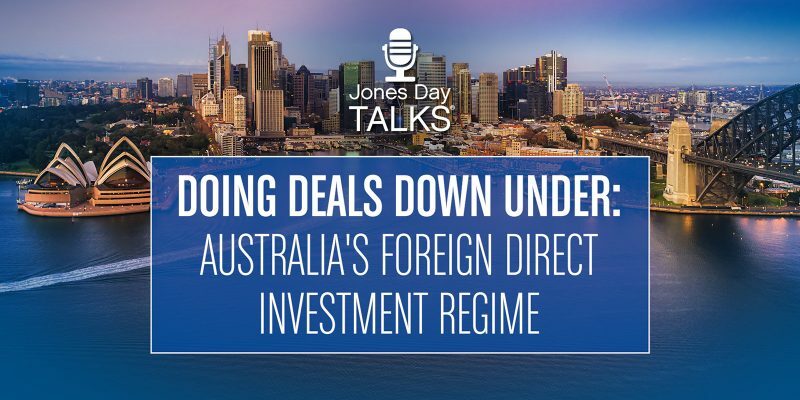 Like many countries, Australia is taking a careful look at proposed investments by foreign entities, particularly when certain sensitive industries or a government agency are involved. 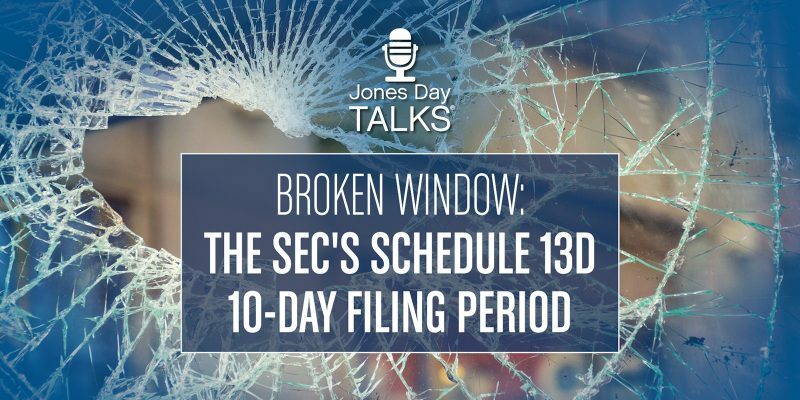 Jones Day’s Mark Crean, Ingrid Costello, Amelia Berczelly, and Chase Kaniecki discuss the FIRB approval procedures, mandatory and voluntary notifications, and the actual risk of a deal not being approved. 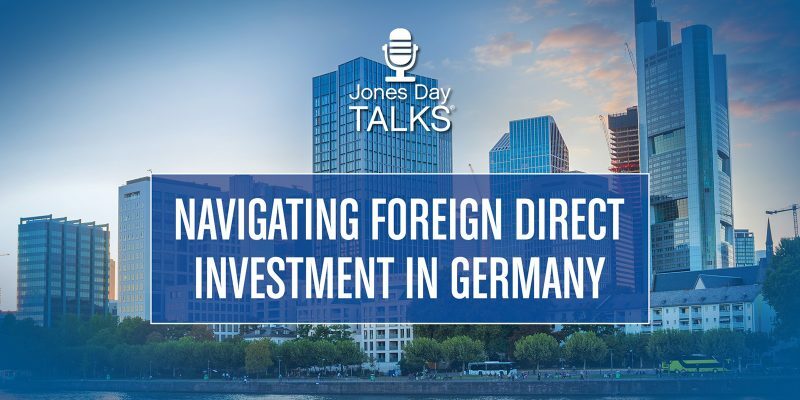 Germany has two different sets of rules for the review of foreign direct investments. The relevant ordinance, the Außenwirtschaftsverordnung, or AWV, provides for a sector-specific review process applying to the acquisition, by any non-German acquirer, of German companies active in military products and crypto-technology. The other set of rules, the cross-sectoral review, applies to the acquisition of all other companies by any non-EU acquirer. 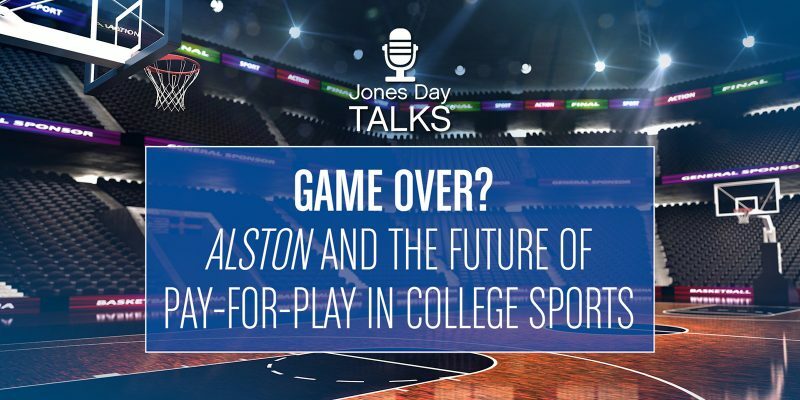 Jones Day’s Jürgen Beninca and Chase Kaniecki discuss what investors should know about the AWV. 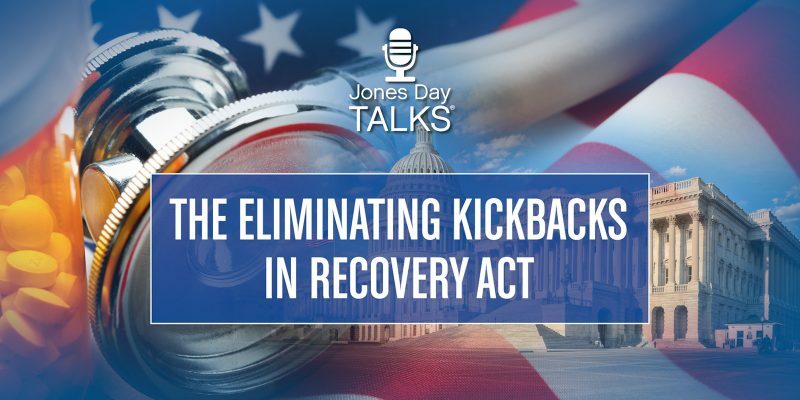 With the passage of the Eliminating Kickbacks in Recovery Act in October 2018, Congress took aim at the ongoing opioid crisis threatening communities across the U.S. This new criminal statute targets healthcare providers that knowingly pay for or otherwise incentivise referrals of individuals to recovery homes, clinical treatment facilities, or laboratories. 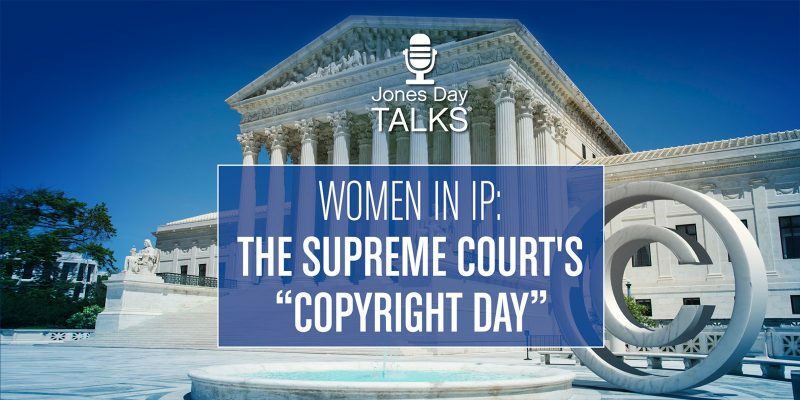 Partner Ann Hollenbeck discusses with Health Care lawyers B. Kurt Copper and John Kirsner, covering the goals, exceptions and other crucial details of the Act. 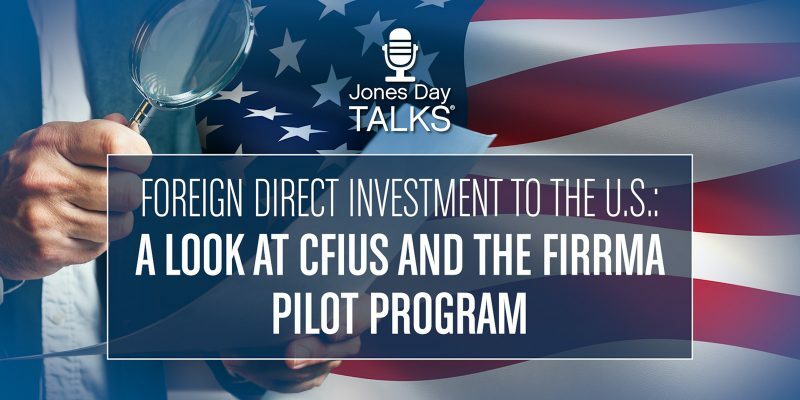 Jones Day’s Justin Huff, Laura Fraedrich, and Chase Kaniecki explain the role of CFIUS, discuss how provisions of the FIRRMA pilot program are affecting investment in the U.S., and talk about what to expect next in cross-border transaction oversight. 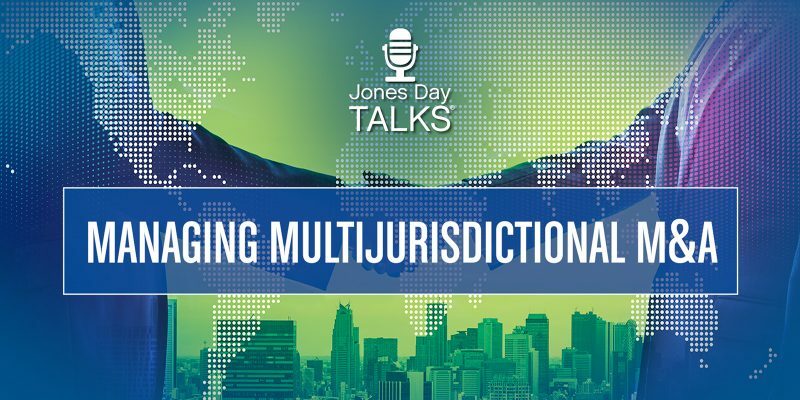 In the first in a Jones Day Talks series on foreign direct investment, Randi Lesnick and Chase Kaniecki discuss the current global M&A landscape, the challenges of multijurisdictional deal making, the impact of geopolitical issues, and why investors can benefit from contingency planning.